Young minds soar when research scientists and community partners unite to bolster science education. Teachers gain new skills and knowledge to share in the classroom. Students benefit from hands-on learning and exposure to interdisciplinary research and problem-solving. A coalition of partners in Western New York State has received a five year, $9.8 million grant from the National Science Foundation (NSF) to expand the Interdisciplinary Science and Engineering Partnership (ISEP). Supported with resources totaling more than $10 million, this promising program aims to transform how science is taught in the Buffalo Public Schools. The focus of the ISEP is the critical middle school experiences of students in science and engineering, as they transition to high school. The project uses an innovative approach to teacher professional development among high-needs urban schools (including “feeder” middle schools and their corresponding high schools). This is accomplished through courses and interdisciplinary research experience, development of science and technology classroom materials aligned with state science learning standards, and inquiry-based curricula. Sample research topics include nanotechnology, molecular biology, pharmacokinetics, and response to natural and manmade emergencies— to name just a few. The ISEP also combines novel mentoring approaches and expanded Professional Learning Communities (PLCs) to build leadership and resources for improving science education. 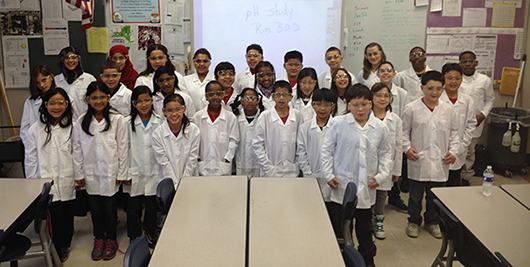 The PLCs cultivate mentoring relationships involving middle and high school teachers and students, UB and Buffalo State College science/engineering/technology faculty, education faculty, undergraduate students and graduate students, volunteer professionals and parents.